Grapevine is one of the most historical cities in North Texas with tons of visitor attractions. 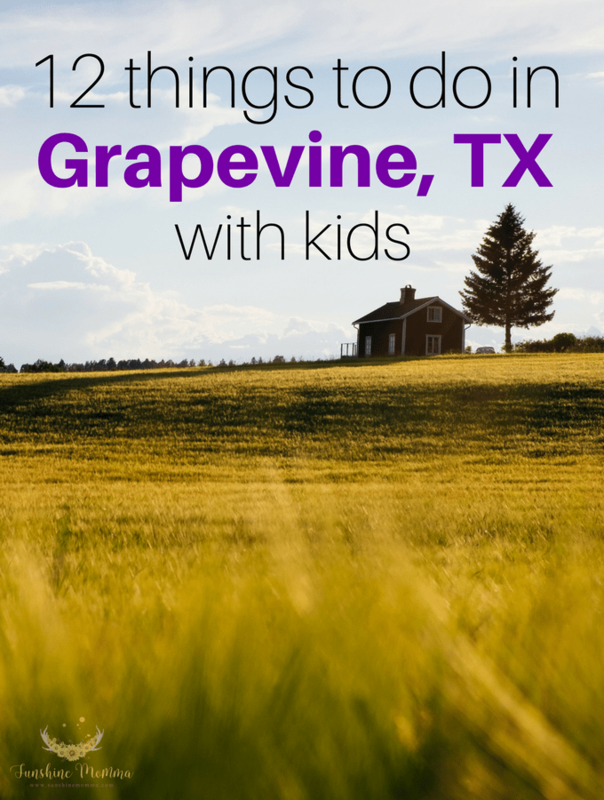 Here is a list of the best things to do with kids in Grapevine, TX! Legoland is heaven for your Lego loving kids. Book a time slot for entry, but you can stay for as long as you want once you’re inside. It is $21 at the door & children under 2 are free, but if you buy tickets online it is only $15.95! Legoland is conveniently located in the Grapevine Mills Mall near Rainforest Cafe and the Sea Life Aquarium. Great Wolf Lodge is an indoor water park and family resort located in Grapevine. This location is 80,000 square feet filled with water slides and a wave pool. Great Wolf Lodge is the perfect place for a stay-cation! Sea Life Aquarium is located in the Grapevine Mills Mall by Legoland and Rainforest Cafe. General admissions tickets are $20 f0r an adult and $16 for children. Get discounted tickets by ordering them online. With 16 exhibits, you can spend the entire day exploring sea life with your kiddos. Visit during toddler Tuesdays and get 1 adult ticket and 2 child tickets for toddlers under 4 for only $15! Altitude Trampoline Park is a trampoline gym that will wear your kids out and won’t break the bank. Kids 6 and under have 1 hour jumping time for only $8.95 for admission. Older kids can jump for $12.95 for an hour. Let’s Pretend Tea Parties is a great place to take your girly girl to be pampered. You can have tea and cupcakes while your little one dresses up in costumes and gets her hair and nails done. They offer fun birthday party packages too! Grapevine Vintage Railroad takes you on a round trip ride from Grapevine to the Ft. Worth Stockyards. Choose between a first class ride with AC and attendant service or coach seating with open air travel (windows closed during winter months). Main Event offers bowling, laser tag, and games for the whole family to participate in. They often run specials for cheaper tickets so keep an eye on their specials page! Summit Gyms has kids rock climbing hours every Saturday from 11AM to 1PM. This course is only for children 5 and up and will cost you $20. Skate town is a roller rink in Grapevine that hosts birthday parties and free skates. Check their schedule for prices and times to skate. They now offer toddler skate on Fridays from 10AM to 12PM for $5! Grapevine Botanical Gardens is a free park with several amenities including walking trails, a butterfly sanctuary, and a pond full of fish. Nash Farm is a 5 acre farm that displays the heritage of Grapevine. Take some food for a picnic and enjoy a free self guided tour of the historic farmhouse and barn on the farm. There are also 30+ parks to enjoy in Grapevine, TX.